Unwanted hair can be as big a problem for men as for women. At AVAmedica, we can provide you with the most advanced hair removal techniques to help you achieve the look you want more quickly and conveniently than ever before. We can provide you with virtually pain-free laser hair removal solutions to increase your confidence in your appearance every day. The expert technicians at AVAmedica can remove unwanted hair from your back, abdomen, chest, arms, legs, shoulders and face. We use state-of-the-art equipment to remove hair safely and quickly, allowing you to enjoy the most attractive results from your investment in these advanced procedures. Our skilled technicians can provide you with safe and effective solutions for all your hair removal needs. 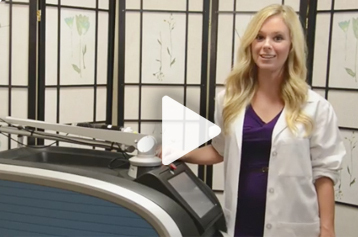 AVAmedica uses Cynosure Elite+ aesthetic workstations to perform laser hair removal treatments. This equipment features larger spot sizes to speed up your procedure, allowing you to accomplish your hair removal goals more quickly, a definite bonus for modern men on the go. Cynosure Elite+ workstations provide flexible settings to ensure the most effective treatment for all skin tones. If you are nervous about laser hair removal, we can help you achieve the most painless and pleasant experience possible. Our technicians have the experience and expertise needed to help men achieve the most effective treatments for their hair removal needs. To discuss your laser hair removal treatment or to set up an appointment with one of our talented technicians, call us today at 646-588-0888. We look forward to the chance to provide you with the solutions you need to look and feel your best.